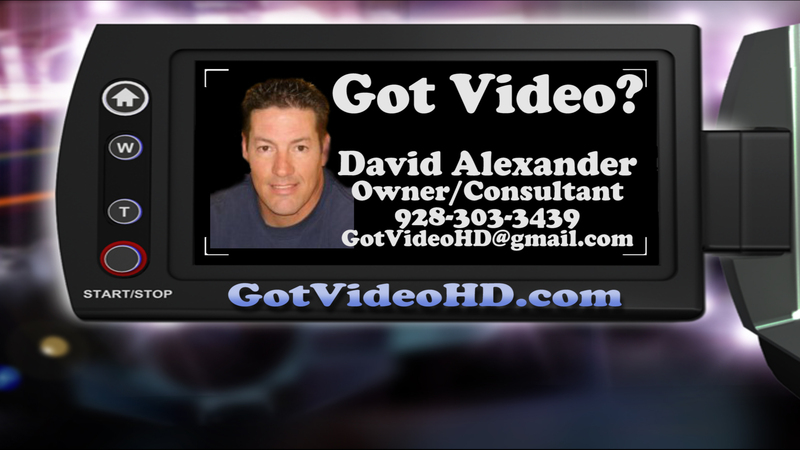 David Alexander Productions | Your local video marketing experts. Your local video marketing experts. I found this kid under the London Bridge in Lake Havasu City, AZ. I asked if he had any original music and this is what he sang. The audio is straight out of the camera, no edits, and some skateboarders in the background. Other than that, the song is great, the lyrics are true to him and his life experience. Thanks for watching. Coach David (David Alexander Productions). THE WORLD OF VIDEO IS GROWING INCREDIBLY FAST! By next year, 69% of consumer web traffic will be video, according to Cisco. According to Nielsen, 64% of marketers now expect video to dominate their sales and marketing strategy. A recent campaign from Volkswagen, for example, saw a trio of its videos viewed a combined 155 million times. Engage viewers and they will share the video with others. They will spend longer on your website and more time interacting with your brand. For any social media campaign, any SEO exercise, video is without doubt one of the best tools in the kit. What does all this mean? It means that video now is essential. 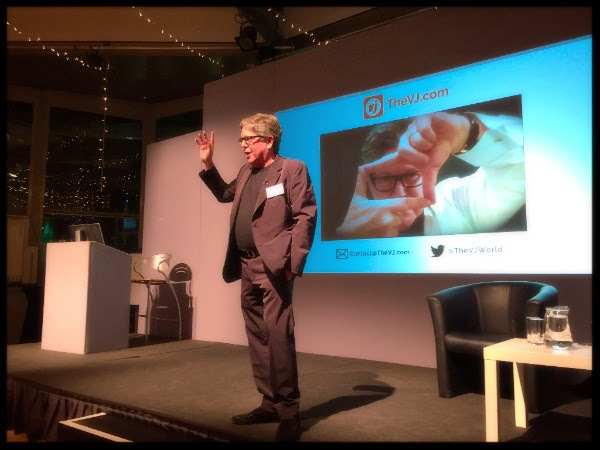 If you have a website, if you have a message you need to get across, if you have a product you want to sell, if you have a creative idea – in fact, everyone. It’s a whole new world for media, and video is the most powerful medium we have. via Building Your Video Strategy on Social Media | Animoto Blog. For Don we did four different videos focusing on the niche of Reverse Mortgages for Lake Havasu City, AZ. We did a video business card, a frequently asked questions video, a benefits video and a review video. We also created a landing page for him here http://www.LocalReverseMortgageSolutions.com. Check him out and let Don know you saw him on YouTube! Mobile devices, such as smartphones and tablets, are gaining market share, They’re now people’s go-to tool for communicating, emailing, social networking, checking the time, killing time, taking photos and – increasingly – finding and researching products, services and businesses. Here are 50 astonishing mobile search stats about the rise of mobile search, as well five takeways that will help you get your campaigns ready. Key Takeaway: The time to start your mobile marketing was yesterday. By the end of 2013, your marketing may look antiquated if you haven’t adopted marketing that appeals to smartphone and tablet users. Consider responsive design, monitor how people access your site to assess whether building an application is a good idea and build more visual and shorter content. Lost in a sea of data? It doesn’t have to be this way. PR is about people and relationships. Get Brian Solis’ free e-book to see why humanity is the next killer app! Key Takeaway: “Mobile doesn’t always mean on-the-go,” says Scott Benson, Vocus SEO manager. Even if you operate a business outside of the retail space, you must prepare for searchers to access your site. “Mobile is where your customers are searching even when they have access to a computer,” he says. Key Takeaway: You must analyze your site and content marketing to determine if it is appealing to mobile searchers, says Scott. Determine what terms mobile device users search and produce quick-hitting content that addresses these queries. Also look at your analytics to determine the devices people use to access your site and find the landing pages that earn the most traffic. Key Takeaway: According Tim Reis, who leads Google’s mobile and social platform teams, mobile devices are personal to people, enabling marketers to connect with them better than a TV commercial ever could. Instead of shouting, look for authentic ways your brand can add value to the customer by teaching them something, making them laugh, giving them access to information or simply pass the time. We can help get your business noticed on Google and YouTube! Why Is Online Video Marketing So Important? Why is online video marketing so important in 2014? This is the question we are going to answer in this post, but first there are a couple of other key questions that we need to consider: does my company or brand need videos? Does video marketing provide a good ROI compared with other marketing efforts? We have already shared a guide to video SEO and optimized video hosting options for enhanced video SEO, but first you have to know if video marketing is right for you. If I had created a video instead of this blog post to make my point I am sure I would have enticed an (even) bigger audience than I will now. We would agree that a motion picture normally attracts us more than an intriguing novel or comic book based on the same story. Although some people prefer reading, when we are focused on exposing our marketing efforts to the maximum number of people, video is the answer. Let’s compare the different interest levels by looking at the common reaction to text content, infographics or online videos. Which one do you think is more effective? Online videos have a big advantage over other marketing content: the human touch it brings to brands. When real people appear in your video it gains the trust of your users and, with competition growing between brands in almost every online niche, this trust can make all the difference. If you want to ignite curiosity in your potential audience, try dicing your content into shorter videos. This is an effective video marketing tactic if you want to get conversions in the form of subscriptions. Always end your videos with a teaser about what to expect in the next video and/or a call-to-action link to a site with further details not shared in the video. When a potential customer is considering doing business with you, they will usually look for customer testimonials. If you have a text testimonial with a picture, name and location, they will only be half convinced. But if you have a video testimonial, then you’ll have them: they can identify themselves with the other person and this will eradicate any apprehension they may still have. Most of the viral content on the internet and social media are videos. Videos are fun to watch and some of them can be extremely creative (e.g. animated videos, funny videos). Look for a concept related to your niche and bring it to life with a blend of creativity and humor ; the perfect recipe to increase your brand’s fan base. This kind of video is not easy as it takes a lot of conceptualisation and expertise. But if you can manage to make one, the competition will be so sparse that it will set you apart from others in your industry. Why is Online Video Marketing So Important in 2014? Rising User Statistics: 93 percent of the 600 marketing professionals surveyed said they had used video content in 2013 and 82 percent of them said they found it effective, according to ReelSEO. Forty-one percent of adults in the US watch online videos. Just imagine how intense the online video usage for digital marketing will be in 2014! Mobile Apps That help Share and Play Videos Are On the Rise: In 2012 and 2013 the average time spent watching videos doubled on mobile phones and tripled on tablets. Mobile phone chat apps, such as Facebook messenger and WhatsApp continue to captivate people and increase their worldwide user bases. Fifty billion messages will be sent in 2014 through these apps, according to ibitimes.co.uk. And most of these messages will be in a video format. Storytelling Through Explainer Videos is a Rising Trend: The new trend of explainer videos that use either animation or actual people to do the storytelling has risen exponentially in recent times. Check out these 10 explainer videos from startups, listed out by Ben Davis. This type of video is perfect for promoting products and services because they are short, entertaining and convey your marketing message in a unique way. Videos In Emails Improve Click Through Rates: By simply mentioning the word ‘video’ in an email subject line, click-through rates were increased by seven (numbers under 10 should be written out, and so should the word percent -AP style) to 13 percent, according to the 2012 Experian Digital Marketing Trend Report. You can find more statistics on email marketing via video content in this SmartInsights post. And if none of the things mentioned above convinced you to use online video for digital marketing in 2014, consider reading this inspiring story of how a small business startup used video to market their brand among 600 potential competitors in the local region. So what do you think? Are you going to give video marketing a try this year? If so, share your experiences with us!